The Mountain Dandelion Cape features a fabric of loose, open mesh on the top and a tighter, knit-looking fabric on the bottom. The double-knit stitches used to create the look are the double-knit Diagonal Stitch and the Closed Accordion Stitch. I’ve combined these two stitches to create two unique wraps that allows us to make the two-textured fabric as one-piece. 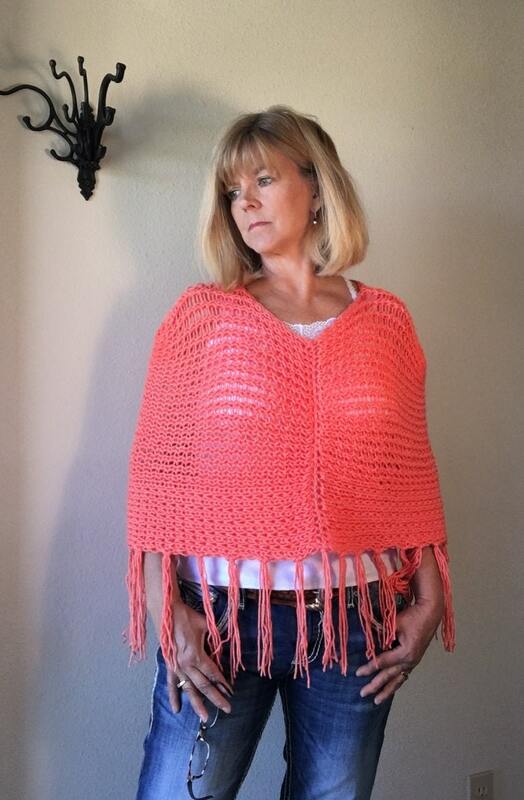 Both wraps are demonstrated with pictures in the pattern. 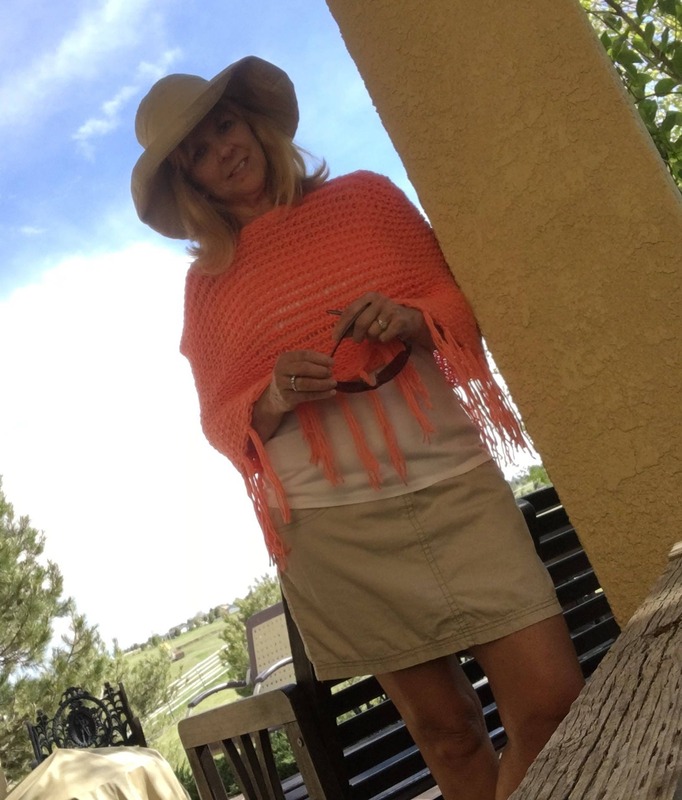 This poncho is double knit on Knifty Knitter’s long blue 32-peg loom and uses approximately 450 yards of Hobby Lobby’s I Love This Yarn, worsted weight. The color used in the sample is Mango. 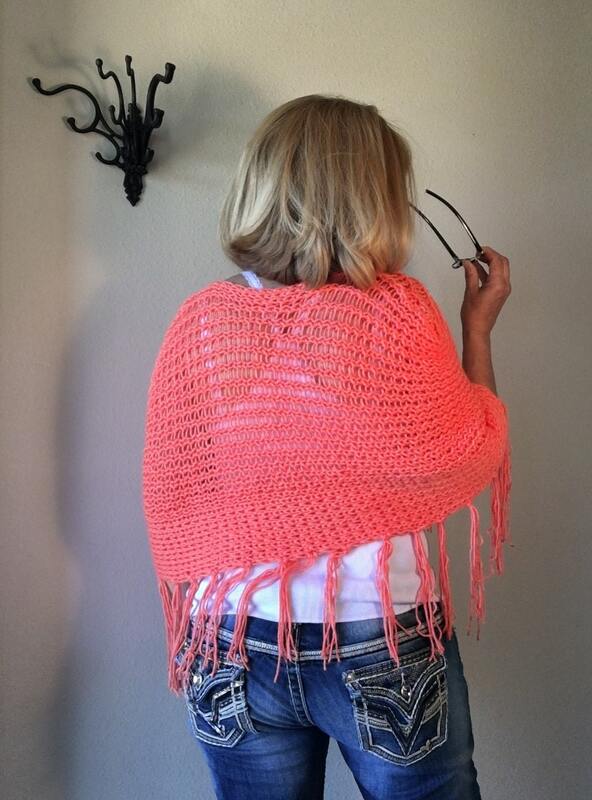 The pattern includes a measurement calculation to fit your specific size and is suitable for an advanced beginner.